NOT VALID AT DISNEYLAND RESORT GATES. 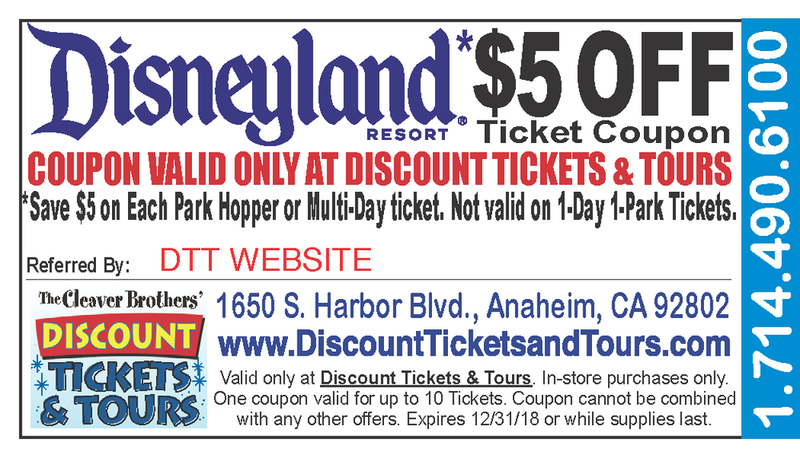 Print and present this coupon at Discount Tickets & Tours or show it on your phone to receive your discount! We are right cross the street from Disneyland Resort (click here for map). In-store purchases only.